Gifts mean a little more if you created it with your own hands, right? 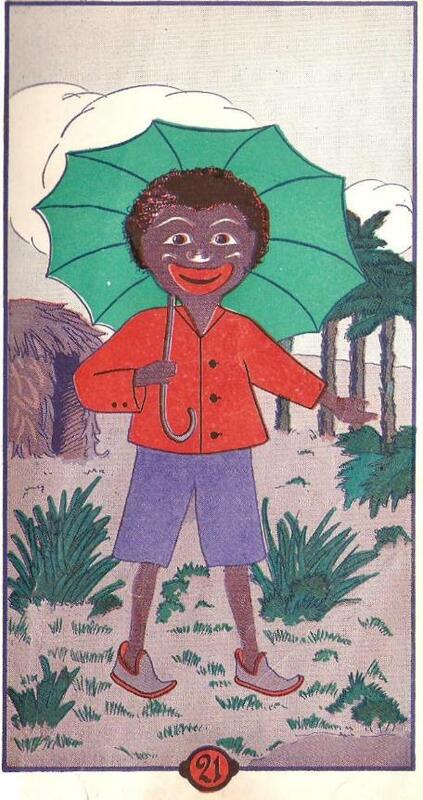 Here is a beautiful publication of the Story of Little Black Sambo. answered many of the concerns of buyers of the 1899 edition. First, buy this ebook. You will download the ebook instantly after your purchase. Paypal and Ebay will provide you with the Download Link instantly after your purchase. In fact, it is the very next screen after your successful purchase. Download Little Black Sambo to your computer. You can view and enjoy the ebook for years directly on your computer screen. 2. Print the entire ebook, its a total of 68 pages, including the Front and Back cover eBook pages. Pick up a 1 inch deep loose leaf notebook at any major store, estimated costs 1 - 2 dollars. Punch holes in the pages you printed and place them in the loose leaf notebook. Place the Bookcovers behind the plastic covers, both front and back. Sign your creation and write a note on one of the pages, or add your own page. REMEMBER to date it! Dates always make your gift more memoriable in the future.